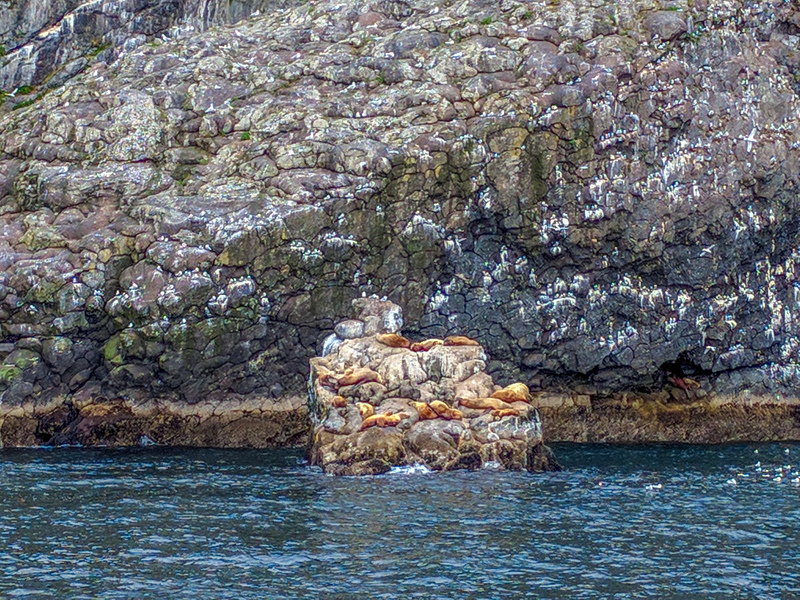 to take advantage of the abundance of whales during the spring. 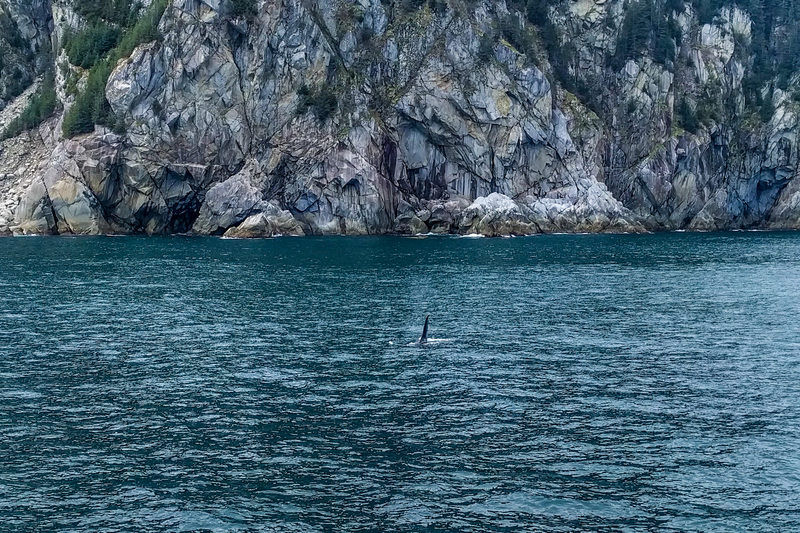 A small group whale encounter and kayaking excursion along the most rugged and beautiful side of Resurrection Bay. This is typically a mild paddle, but it operates outdoors, so you should be prepared to paddle in all types of weather. Participants should be comfortable spending 1-2 hours actively paddling in a kayak, and with riding in a small boat for several hours. 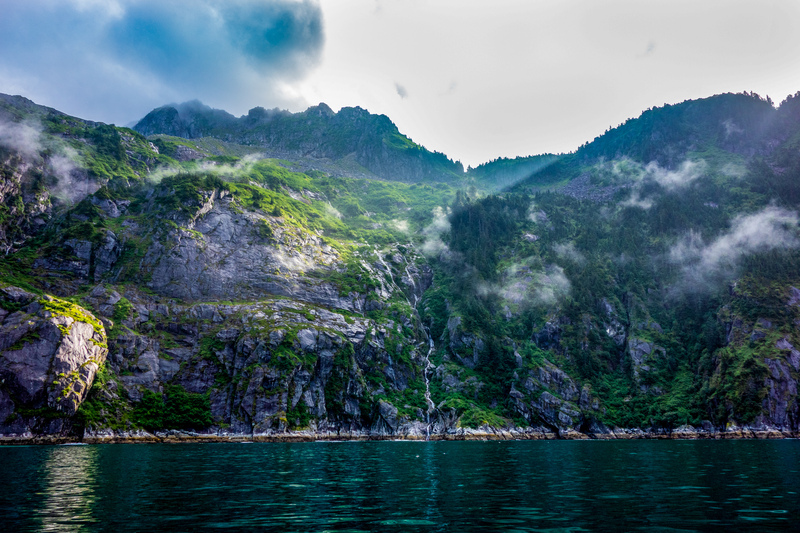 Take our well appointed jet boat over to the wildlife-rich eastern shore of Resurrection Bay to search for and kayak among marine mammals, puffins and bald eagles. 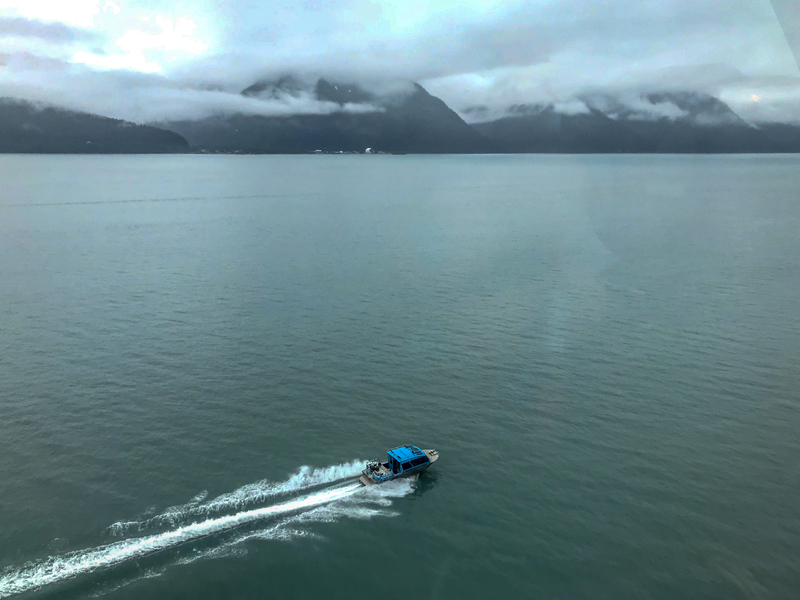 On this trip, we check out the coastline around Fox Island at the head of Resurrection Bay, keeping our eyes open for whales, sea lions, porpoise, and other marine mammals. 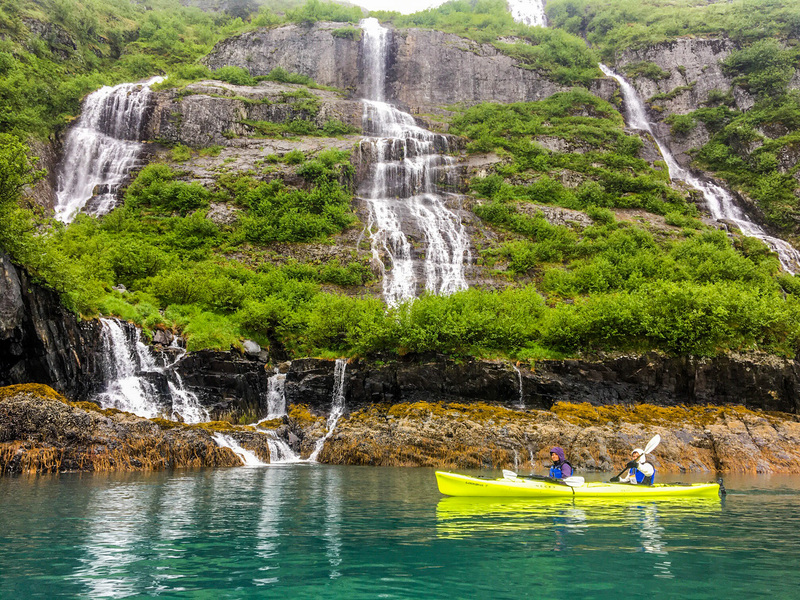 When we arrive at our paddling destination, we have roughly 2 hours on the water to enjoy some of Alaska's most stunning coastline, our Emerald Coast, from the intimate perspective that only comes from the seat of a kayak. We offer this trip early in the season to take advantage of the close proximity of whales typical of this time of year. 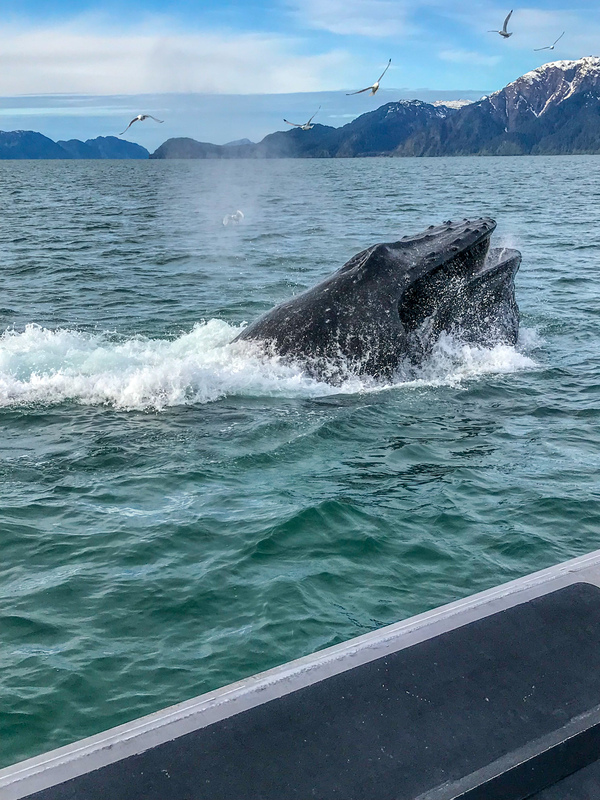 In early May, the bait fish and plankton that make up the whale's diet are schooling in Resurrection Bay, and that usually means we see these beautiful giants very frequently. As the summer ripens and June comes along, the food sources move further out to sea, and with them go the whales, requiring a longer boat ride and a larger search area. 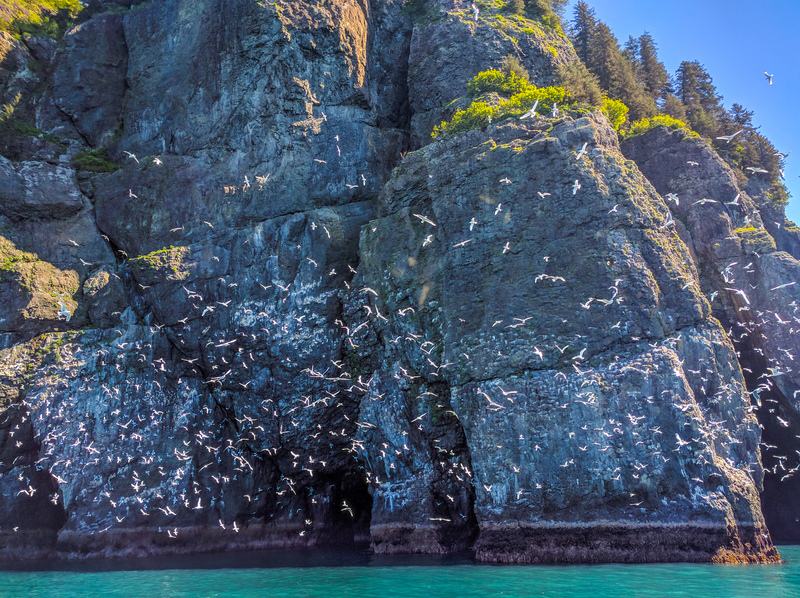 This trip is super cool — we love being able to take advantage of the seasonal conditions to try and facilitate incredibly memorable wildlife encounters, and it's one of the few trips we offer that explores the Eastern side of the Bay. 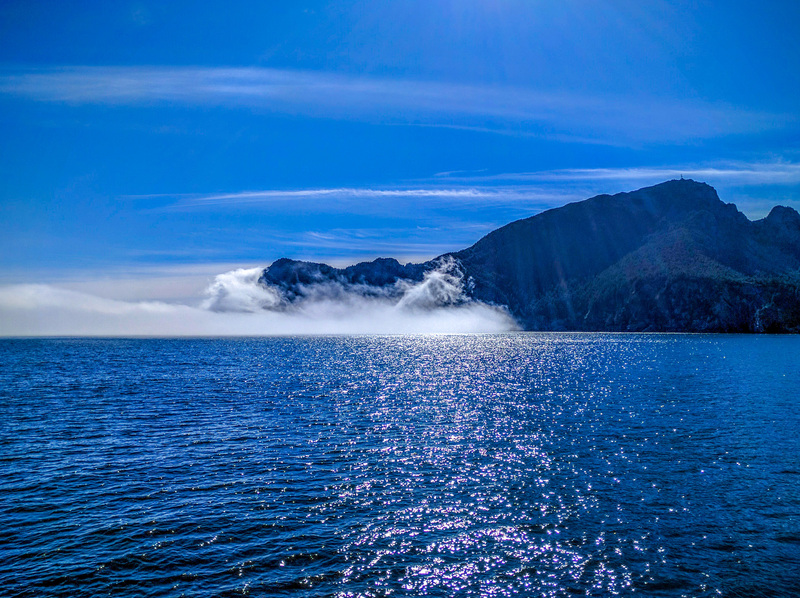 Please Note: This is an early-season trip, so be prepared for chilly weather and misty days! We reserve the right to cancel this trip in the event of serious weather or very rough seas. Paddling groups are never larger than 6 people. We'll never have more than 6 clients on the boat at any time. After boarding, it's roughly a 30 minute ride to our paddling spot. 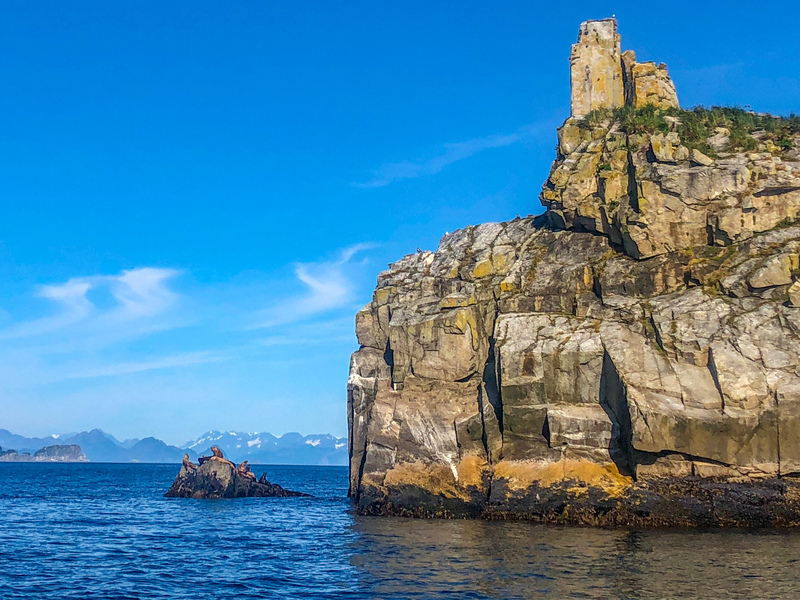 However, we take our time on the way out, looking constantly for marine life like whales, otters, puffins, porpoises, and much more. The journey out and/or backcan usually be considered a wildlife tour in and of itself, so expect to spend about 1.5 - 2 hours in the water taxi. 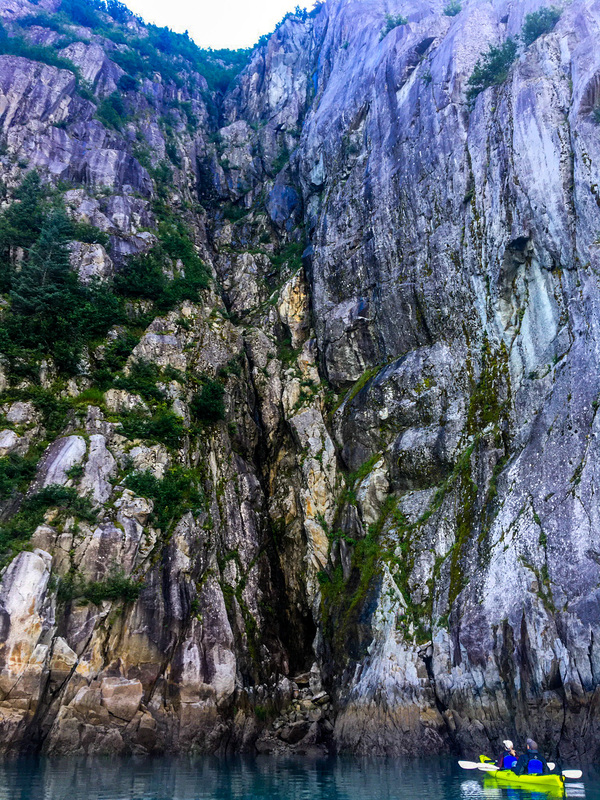 When we get to our destination, we unload the kayaks and cast off from the vessel, which will return and meet us after paddling. Ride in a small, well-appointed water taxi out to the Emerald Coast. Please note that this ride, while usually calm, can sometimes get bumpy if weather comes in. We always do our best to make the ride comfortable, but we can't control the weather! A maximum of 6 clients are on the boat during a trip. The ride in the water taxi is usually about 1 hour in each direction. The exact time is highly dependent on weather, and wildlife sightings. Usually, one direction takes longer than the other because we're searching for whales.